The most comprehensive assessment of the energy output in the nearby universe reveals that today's produced energy is only about half of what it was 2 billion years ago. A team of international scientists used several of the world's most powerful telescopes to study the energy of the universe and concluded that the universe is slowly dying. "We used as many space- and ground-based telescopes as we could get our hands on to measure the energy output of over 200,000 galaxies across as broad a wavelength range as possible," Galaxy And Mass Assembly (GAMA) team leader Simon Driver, of the University of Western Australia, said in a statement. The astronomers created a video explaining the slow death of the universe to illustrate the discovery. When the Big Bang created the energy of the universe about 13.8 billion years ago, some portion of that energy found itself locked up as mass. When stars shine, they are converting that mass back into energy, as described by Albert Einstein's famous equation E=mc2 (energy = mass x speed of light squared). There are some people who would have you believe the Universe is expanding. They're peddling this idea it all started with a bang, and that expansion is continuing and accelerating. Yet, they can't tell us what force is causing this acceleration. Just "dark energy", or some other JK Rowling-esque sounding thing. Otherwise known as the acceleration that shall not be named, and it shall be taught in the class which follows potions in 3rd period. I propose to you, faithful viewer, an alternative to this expansionist conspiracy. What if distances are staying the same, and everything is in fact, shrinking? It could happen tomorrow, it could happen in a billion years, but whenever it is, calculations by physicists at the University of Southern Denmark indicate that the risk of the Universe collapsing is even greater than previously thought. The doomsday scenario that's been refined by the Danish researchers is known as The Big Slurp which would occur when there is a radical shift in the forces that govern the Universe. This violent process is called a phase transition and is very similar to what happens when, for example, water turns to steam. Pivotal to the Big Slurp scenario is the Higgs Boson, the particle which is believed to play a role in giving mass to elementary particles. Sooner or later a radical shift in the forces of the universe will cause every little particle in it to become extremely heavy. Everything - every grain of sand on Earth, every planet in the solar system and every galaxy - will become millions of billions times heavier than it is now, and this will have disastrous consequences: The new weight will squeeze all material into a small, super hot and super heavy ball, and the universe as we know it will cease to exist. This violent process is called a phase transition and is very similar to what happens when, for example water turns to steam or a magnet heats up and loses its magnetization. The phase transition in the universe will happen if a bubble is created where the Higgs-field associated with the Higgs-particle reaches a different value than the rest of the universe. If this new value results in lower energy and if the bubble is large enough, the bubble will expand at the speed of light in all directions. All elementary particles inside the bubble will reach a mass, that is much heavier than if they were outside the bubble, and thus they will be pulled together and form supermassive centers. Snapshot from a computer simulation of the formation of large-scale structures in the universe, showing a patch of 100 million light-years and the resulting coherent motions of galaxies flowing toward the highest mass concentration in the center. Not only are scientists unsure how the universe will end, they aren't even sure it will end at all. Several possibilities for the fate of our universe have been bandied about. They tend to have names such as Big Crunch, Big Rip and Big Freeze that belie their essential bleakness. Ultimately, space could collapse back in on itself, destroying all stars and galaxies in existence, or it could expand into essentially an endless void. A few hundred thousand years after the Big Bang, the hot, young soup of our universe cooled enough for the smallest building blocks of life to combine into atoms for the first time. One balmy, 6,700-degree-Fahrenheit day (3,700 degrees Celsius), a helium atom glommed onto a single proton - actually a positively charged hydrogen ion Ñ and the universe's very first molecule was formed: helium hydride, or HeH+. Scientists have studied lab-made versions of this primordial molecule for nearly a century, but they have never found traces of it in our modern universe - until now. In a new study published today (April 17) in the journal Nature, astronomers report on their use of an airborne telescope to detect HeH+ smoldering in the cloud of gas around a dying star some 3,000 light-years away. According to the researchers, this discovery, which has been more than 13 billion years in the making, shows conclusively that HeH+ is formed naturally in conditions similar to those found in the early universe. Scientists from the Niels Bohr Institute, University of Copenhagen, and their colleagues from the international ALICE collaboration recently collided xenon nuclei in the superconducting Large Hadron Collider in order to gain new insights into the properties of the quark-gluon plasma (QGP). The QGP is a special state consisting of quarks and the gluons that bind the quarks together. Scientists from the Niels Bohr Institute, University of Copenhagen, and their colleagues from the international ALICE collaboration recently collided xenon nuclei in the superconducting Large Hadron Collider in order to gain new insights into the properties of the quark-gluon plasma (QGP). The QGP is a special state consisting of quarks and the gluons that bind the quarks together. Experts say, according to the standard model of physics, the cosmos should have destroyed itself when it formed. This is because the universe was born with equal amounts of matter and anti-matter, which must have collided and instantly annihilated one another. But this didn't happen - and scientists are still baffled as to why. Researchers have spent years looking for any difference between anti-matter and matter that explains why they didn't cancel one another out when the cosmos was created. The latest possibility being probed by researchers was that matter and anti-matter may have different magnetism. But new research shows that they are identical, deepening the mystery of why the universe still exists. A chance combination of a gravitational lens and polarized waves coming from a distant quasar gave astronomers the tool needed to make a measurement important to understanding the origin of magnetic fields in galaxies. With the help of a gigantic cosmic lens, astronomers have measured the magnetic field of a galaxy nearly five billion light-years away. The achievement is giving them important new clues about a problem at the frontiers of cosmology -- the nature and origin of the magnetic fields that play an important role in how galaxies develop over time. Astronomers have observed the magnetic field of a galaxy that suggests life-bearing planets could have been a relatively common phenomenon in the history of the universe. The galaxy - which is five billion light-years from Earth and also five billion years younger - has a similar sized magnetic field to our own, suggesting magnetic fields must start early relative to the age of the universe. Planets with magnetism are places where life can evolve as the field forms a shield that protects the surface from harmful radiation. The new discovery has therefore extended the window in which alien life could have developed in many distant galaxies. Our understanding of the universe, based largely on Einstein's theory of general relativity, relies on four fundamental forces: Gravity, electromagnetic, and the strong and weak nuclear forces. These forces stop planets, molecules and even atoms from tearing themselves apart and are the building blocks for the physical rules of the cosmos. But in recent decades, whispers of a fifth force of nature have surfaced, and if it exists, it could overthrow everything we know about how the universe works. Now, researchers have discovered the ultimate way to test whether this fifth force is real, and it involves tracking the stars at the centre of our galaxy. By using a quirk of Einstein's general relativity and applying a new technique to remove obscuring light, astronomers have found an ancient population of the universe's first galaxies. A new technique that removes the light of foreground galaxy clusters is giving astronomers a direct look at a generation of galaxies dating back to the universe's baby years. The discovery is considered a key piece of evidence for a critical, but poorly understood period of time when the universe switched from being dark to radiating light. How much light does a supernova shed on the history of universe? The findings support a widely held theory that the expansion of the universe is accelerating and such acceleration is attributable to a mysterious force known as dark energy. The findings counter recent headlines that Type Ia supernova cannot be relied upon to measure the expansion of the universe. The universe is not spinning or stretched in any particular direction, according to the most stringent test yet. Looking out into the night sky, we see a clumpy universe: planets orbit stars in solar systems and stars are grouped into galaxies, which in turn form enormous galaxy clusters. But cosmologists assume this effect is only local: that if we look on sufficiently large scales, the universe is actually uniform. The vast majority of calculations made about our universe start with this assumption: that the universe is broadly the same, whatever your position and in whichever direction you look. If, however, the universe was stretching preferentially in one direction, or spinning about an axis in a similar way to the Earth rotating, this fundamental assumption, and all the calculations that hinge on it, would be wrong. The Universe's re-ionization is based on a galaxy's dust content. Scientists can explain why the universe has enough energy to become transparent. The study marks the first quantitative study of how the gas content within galaxies scales with the amount of interstellar dust. Re-ionization, which marks the point at which the hydrogen in the Universe became ionized, has become a major area of current research in astrophysics. Ionization made the Universe transparent to these photons, allowing the release of light from sources to travel mostly freely through the cosmos. Scientists now know the universe is expanding, at an ever-increasing rate. So if it's ballooning, what is it growing into? In other words, what is beyond the known universe? Defining this "beyond the universe" would imply that the universe has an edge. And that's where things get tricky, because scientists aren't certain if such a drop-off exists. The answer depends on how one views the question. Astronomers have found what appears to be the largest feature in the observable universe: a ring of nine gamma ray bursts -- and hence galaxies - 5 billion light years across. Gamma-ray bursts (GRBs) are the most luminous events in the universe, releasing as much energy in a few seconds as the Sun does over its 10 billion year lifetime. They are thought to be the result of massive stars collapsing into black holes. Their huge luminosity helps astronomers to map out the location of distant galaxies, something the team exploited. The GRBs that make up the newly discovered ring were observed using a variety of space- and ground-based observatories. They appear to be at very similar distances from us -- around 7 billion light years -- in a circle 36¡ across on the sky, or more than 70 times the diameter of the Full Moon. The Atacama Large Millimeter/submillimeter Array (ALMA) has been used to detect the most distant clouds of star-forming gas yet found in normal galaxies in the early universe. The new observations allow astronomers to start to see how the first galaxies were built up and how they cleared the cosmic fog during the era of reionization. This is the first time that such galaxies are seen as more than just faint blobs. When the first galaxies started to form a few hundred million years after the Big Bang, the Universe was full of a fog of hydrogen gas. But as more and more brilliant sources -- both stars and quasars powered by huge black holes -- started to shine they cleared away the mist and made the Universe transparent to ultraviolet light . Astronomers call this the epoch of reionisation, but little is known about these first galaxies, and up to now they have just been seen as very faint blobs. But now new observations using the power of ALMA are starting to change this. Many know the phrase "the big bang theory." There's even a top television comedy series with that as its title. According to scientists, the universe began with the "big bang" and expanded to the size it is today. Yet, the gravity of all of this matter, stars, gas, galaxies, and mysterious dark matter, tries to pull the universe back together, slowing down the expansion. Now, two physicists at The University of Southern Mississippi, Lawrence Mead and Harry Ringermacher, have discovered that the universe might not only be expanding, but also oscillating or "ringing" at the same time. > The universe. It's the only home we've ever known. Thanks to its intrinsic physical laws, the known constants of nature, and the heavy-metal-spewing fireballs known as supernovae we are little tiny beings held fast to a spinning ball of rock in a distant corner of space and time. Doesn't it seem a little rude not to know much about the universe itself? 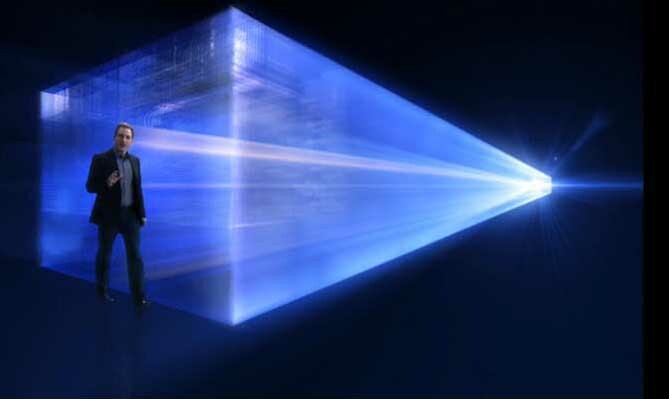 For instance, if we could look at it from outside, what would we see? A vast blackness? A sea of bubbles? Snow globe? Rat maze? A marble in the hands of a larger-dimensional aliens or some other prog rock album cover? Most of the laws of nature treat particles and antiparticles equally, but stars and planets are made of particles, or matter, and not antiparticles, or antimatter. That asymmetry, which favors matter to a very small degree, has puzzled scientists for many years. Physicists offer a possible solution to the mystery of the origin of matter in the universe. Most of the laws of nature treat particles and antiparticles equally, but stars and planets are made of particles, or matter, and not antiparticles, or antimatter. That asymmetry, which favors matter to a very small degree, has puzzled scientists for many years. The discovery of the brightest quasar in the early universe, powered by the most massive black hole yet known at that time presents a puzzle to researchers: How could something so massive and luminous form so early in the universe, only 900 million years after the Big Bang? Our universe may have emerged from a black hole in a higher-dimensional universe, propose a trio of Perimeter Institute researchers. The big bang poses a big question: if it was indeed the cataclysm that blasted our universe into existence 13.7 billion years ago, what sparked it? In our three-dimensional universe, black holes have two-dimensional event horizons Ð that is, they are surrounded by a two-dimensional boundary that marks the "point of no return." In the case of a four-dimensional universe, a black hole would have a three-dimensional event horizon. 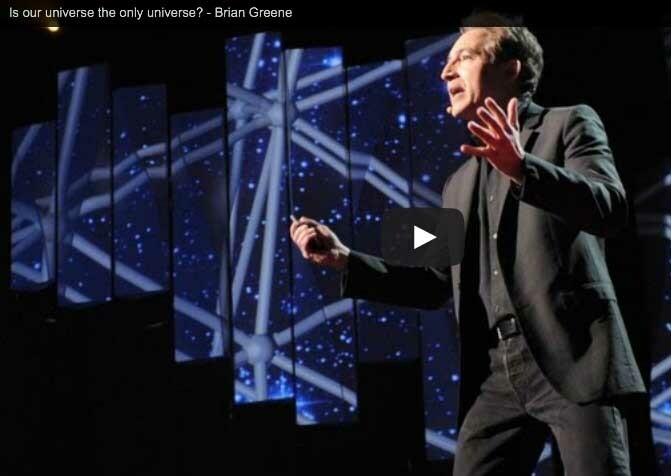 The universe shouldn't exist - at least according to a new theory. Modeling of conditions soon after the Big Bang suggests the universe should have collapsed just microseconds after its explosive birth, the new study suggests. During the early universe, we expected cosmic inflation - this is a rapid expansion of the universe right after the Big Bang. This expansion causes lots of stuff to shake around, and if we shake it too much, we could go into this new energy space, which could cause the universe to collapse. An international team of researchers has created the most complete visual simulation of how the Universe evolved. The computer model shows how the first galaxies formed around clumps of a mysterious, invisible substance called dark matter. It is the first time that the Universe has been modelled so extensively and to such great resolution. > Scientists have produced their most precise measurement yet of the rate at which the early Universe was expanding. They find that some three billion years after the Big Bang, the cosmos was pushing itself apart by another 1% every 44 million years. The discovery that the universe really did expand at many times the speed of light immediately after the Big Bang should bring physicists slightly closer to their ultimate goal - the long-sought "Theory of Everything." The bottom part of this illustration shows the scale of the universe versus time. Specific events are shown such as the formation of neutral Hydrogen at 380 000 years after the big bang. Prior to this time, the constant interaction between matter (electrons) and light (photons) made the universe opaque. After this time, the photons we now call the CMB started streaming freely. Did the universe undergo an early epoch of extremely rapid expansion? Such an inflationary epoch has been postulated to explain several puzzling cosmic attributes such as why our universe looks similar in opposite directions. Yesterday, results were released showing an expected signal of unexpected strength, bolstering a prediction of inflation that specific patterns of polarization should exist in cosmic microwave background radiation -- light emitted 13.8 billion years ago as the universe first became transparent. Called B-mode polarizations, these early swirling patterns can be directly attributed to squeeze and stretch effects that gravitational radiation has on photon-emitting electrons. The surprising results were discovered in data from the Background Imaging of Cosmic Extragalactic Polarization 2 (BICEP2) microwave observatory near the South Pole. BICEP2 is the building-mounted dish pictured above on the left. Note how the black polarization vectors appear to swirl around the colored temperature peaks on the inset microwave sky map. Although statistically compelling, the conclusions will likely remain controversial while confirmation attempts are made with independent observations. This week, the international media has trumpeted the discovery by Australian scientists of the oldest star in the universe, with the catchy name SMSS J031300.36-670839.3, formed in the almost pristine gas soon after the Big Bang. This would mean the star has been slowly burning away for almost 13.7 billion years. But this story may leave those that follow the scientific media scratching their heads slightly, as only six months ago the media telling us about HD 140283, the Methuselah Star, whose best-estimated age is almost 14.5 billion years. This formally makes HD 140283 older than the universe itself, but the uncertainty in the age, by about 800,000 years, could bring it back into line with our cosmological measurements for the universe's age. Brooklyn, NY - Scientists have long used mathematics to describe the physical properties of the universe. But what if the universe itself is math? That's what MIT cosmologist Max Tegmark believes. In Tegmark's view, everything in the universe - humans included - is part of a mathematical structure. All matter is made up of particles, which have properties such as charge and spin, but these properties are purely mathematical, he says. And space itself has properties such as dimensions, but is still ultimately a mathematical structure. "If you accept the idea that both space itself, and all the stuff in space, have no properties at all except mathematical properties," then the idea that everything is mathematical "starts to sound a little bit less insane," Tegmark said in a talk given Jan. 15 here at The Bell House. The talk was based on his book "Our Mathematical Universe: My Quest for the Ultimate Nature of Reality" (Knopf, 2014). "If my idea is wrong, physics is ultimately doomed," Tegmark said. But if the universe really is mathematics, he added, "There's nothing we can't, in principle, understand." If you could somehow manage to step outside of the universe, what would it look like? Scientists have struggled with this question, taking several different measurements in order to determine the geometry of the cosmos and whether or not it will come to an end. How do they measure the shape of the universe? And what have they found? According to Einstein's theory of General Relativity, space itself can be curved by mass. As a result, the density of the universe how much mass it has spread over its volume determines its shape, as well as its future. Astronomers have measured the distances between galaxies in the universe to an accuracy of just 1%. This staggeringly precise survey - across six billion light-years - is key to mapping the cosmos and determining the nature of dark energy. The new gold standard was set by BOSS (the Baryon Oscillation Spectroscopic Survey) using the Sloan Foundation Telescope in New Mexico, US. South Pole Telescope scientists have detected for the first time a subtle distortion in the oldest light in the universe, which may help reveal secrets about the earliest moments in the universe's formation. For nearly a century, the consensus among astrophysicists has been that the universe started with a Big Bang and has been expanding ever since. This hypothesis formed because researchers found that in analyzing the light emitted from stars, a redshift occurred - where its frequency changes as an object that emits light moves away from us. But Wetterich says the redshift might me due to something else - an increase in the total mass in the universe. Organic compounds of unexpected complexity exist throughout the Universe. The results suggest that complex organic compounds are not the sole domain of life but can be made naturally by stars. Our universe was born about 13.7 billion years ago in a massive expansion that blew space up like a gigantic balloon. That, in a nutshell, is the Big Bang theory, which virtually all cosmologists and theoretical physicists endorse. The evidence supporting the idea is extensive and convincing. We know, for example, that the universe is still expanding even now, at an ever-accelerating rate. A research team of astronomers, has successfully detected a carbon emission line in the most distant radio galaxy known so far in the early universe. Their investigation of the detected carbon line showed that a significant amount of carbon existed as early as 12.5 billion years ago, less than a billion years after the Big Bang. This important finding contributes to our understanding of the chemical evolution of the universe and may provide clues about the chemical nature of humans, who are composed of various elements such as carbon and oxygen. After years of planning, construction and assembly, a gigantic observatory billed as the world's most complex array of ground-based telescopes has opened its eyes in South America and captured its first image. The Atacama Large Millimeter/submillimeter Array, or ALMA, is now officially open for business high in the Chilean Andes. The huge $1.3 billion radio telescope, a collaboration of many nations and institutions, should help astronomers explore some of the coldest and most distant objects in the universe, researchers said. One of the 21st Century's grand scientific undertakings has begun its quest to view the "Cosmic Dawn". The Atacama large milllimetre/submillimetre array (Alma) in Chile is the largest, most complex telescope ever built. Alma's purpose is to study processes occurring a few hundred million years after the formation of the Universe when the first stars began to shine. Its work should help explain why the cosmos looks the way it does today. One of Alma's scientific operations astronomers, Dr Diego Garcia, said that the effective switching on of the giant telescope ushered in a "new golden age of astronomy". Astronomers have discovered the largest and oldest mass of water ever detected in the universe - a gigantic, 12-billion-year-old cloud harboring 140 trillion times more water than all of Earth's oceans combined. "This discovery pushes the detection of water one billion years closer to the Big Bang than any previous find. Physicists and astronomers have long believed that the universe has mirror symmetry, like a basketball. But recent findings from the University of Michigan suggest that the shape of the Big Bang might be more complicated than previously thought, and that the early universe spun on an axis. The hypothetical dark flow seen in the movement of galaxy clusters requires that we can reliably identify a clear statistical correlation in the motion of distant objects which are, in any case, flowing outwards with the expansion of the universe and may also have their own individual (or peculiar) motion arising from gravitational interactions. By looking far out into space and observing whatÕs going on there, scientists have been led to theorize that it all started with a Big Bang, immediately followed by a brief period of super-accelerated expansion called inflation. 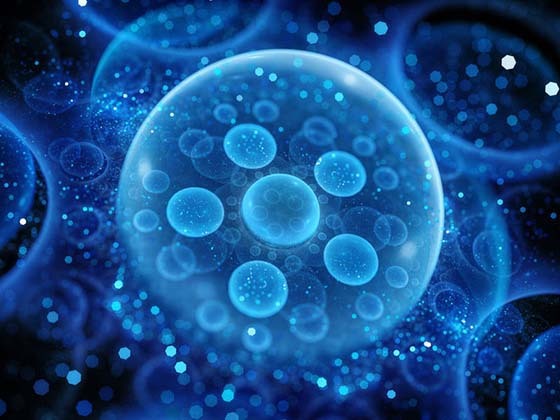 Perhaps this was the beginning of everything, but lately a few scientists have been wondering if something could have come before that, setting up the initial conditions for the birth of our universe. Evidence of events that happened before the Big Bang can be seen in the glow of microwave radiation that fills the Universe, scientists have asserted. Renowned cosmologist Roger Penrose said that analysis of this cosmic microwave background showed echoes of previous Big Bang-like events. The events appear as "rings" around galaxy clusters in which the variation in the background is unusually low. The very early Universe was not only very hot and dense but behaved like a hot liquid. Researchers have developed a simple technique that adds evidence to the theory that the Universe is flat. Moreover, the method - developed by revisiting a 30-year-old idea - confirms that "dark energy" makes up nearly three-quarters of the Universe. Author Christian Marinoni says the idea turns estimating the Universe's shape into "primary school" geometry. While the idea of the Earth being flat preoccupied the first philosophers millennia ago, the question of whether the Universe itself is flat remains a debatable topic. The degree to which the Universe is curved has an effect on what astronomers see when they look into the cosmos. A telescope on or near Earth may see an image of a celestial object differently from how the object actually looks, because the very fabric of space and time bends the light coming from it. Through observations of massive galaxy clusters, scientists have made the most precise measurements to date of the effects of dark energy and gravity on cosmological scales. This work is an important step toward understanding why the expansion of the universe is accelerating. Something is pushing our universe apart, faster and faster, with each passing moment, and future work using similar methods should determine whether that something is dark energy or a change in the way gravity works on cosmological scales. ESA's Planck mission has delivered its first all-sky image. It not only provides new insight into the way stars and galaxies form but also tells us how the Universe itself came to life after the Big Bang. From the closest portions of the Milky Way to the furthest reaches of space and time, the new all-sky Planck image is an extraordinary treasure chest of new data for astronomers. The main disc of our Galaxy runs across the centre of the image. Immediately striking are the streamers of cold dust reaching above and below the Milky Way. This galactic web is where new stars are being formed, and Planck has found many locations where individual stars are edging toward birth or just beginning their cycle of development. Einstein-Rosen bridges like the one visualized above have never been observed in nature, but they provide theoretical physicists and cosmologists with solutions in general relativity by combining models of black holes and white holes. Could our universe be located within the interior of a wormhole which itself is part of a black hole that lies within a much larger universe? Such a scenario in which the universe is born from inside a wormhole (also called an Einstein-Rosen Bridge). In studying the radial motion through the event horizon (a black hole's boundary) of two different types of black holes -- Schwarzschild and Einstein-Rosen, both of which are mathematically legitimate solutions of general relativity -- Poplawski admits that only experiment or observation can reveal the motion of a particle falling into an actual black hole. But he also notes that since observers can only see the outside of the black hole, the interior cannot be observed unless an observer enters or resides within. A detailed picture of the seeds of structures in the universe has been unveiled by an international team co-led by Sarah Church of the Kavli Institute for Particle Astrophysics and Cosmology, jointly located at the Department of Energy's SLAC National Accelerator Laboratory and Stanford University, and by Walter Gear, of Cardiff University in the United Kingdom. These measurements of the cosmic microwave background -- a faintly glowing relic of the hot, dense, young universe -- put limits on proposed alternatives to the standard model of cosmology and provide further support for the standard cosmological model, confirming that dark matter and dark energy make up 95% of everything in existence, while ordinary matter makes up just 5%. The light from the early universe was initially unpolarized but became polarized when it struck moving matter in the very early universe. By creating maps of this polarization, the QUaD team was able to investigate not just where the matter existed, but also how it was moving. With its jewel-like star clusters, swirling galaxies and orange Suns, pictures of the universe are usually impossibly beautiful and brightly colored. But as Nasa has pointed out the real colour of outer space would not look out of place on an office wall: it is beige. After studying the color of light emitted by 200,000 galaxies scientists have combined them to produce the color, they have dubbed 'cosmic latte'. Other names suggested for it were 'univeige' and 'skyvory'. But apparently this color has changed over the last six billion years as the predominant color has shifted from blue to more of a red. What color is the universe? More precisely, if the entire sky were smeared out, what color would the final mix be? This whimsical question came up when trying to determine what stars are commonplace in nearby galaxies. The answer, depicted above, is a conditionally perceived shade of beige. To determine this, astronomers computationally averaged the light emitted by one of the largest sample of galaxies yet analyzed: the 200,000 galaxies of the 2dF survey. The resulting cosmic spectrum has some emission in all parts of the electromagnetic spectrum, but a single perceived composite color. This color has become much less blue over the past 10 billion years, indicating that redder stars are becoming more prevalent. In a contest to better name the color, notable entries included skyvory, univeige, and the winner: cosmic latte. > Astronomers have confirmed that an exploding star spotted by Nasa's Swift satellite is the most distant cosmic object to be detected by telescopes. In the journal Nature, two teams of astronomers report their observations of a gamma-ray burst from a star that died 13.1 billion light-years away. The massive star died about 630 million years after the Big Bang. UK astronomer Nial Tanvir described the observation as "a step back in cosmic time". The most distant object yet spied in the universe is the remnant of a star about 13 billion light-years from Earth that sheds new light on the earliest days of the universe. Two different teams of astronomers studied a brief but powerful flash of light, called a gamma-ray burst, from the star explosion. ecause of the time it takes for light to travel such distances, scientists think the exploded star must have been born about 600 million years after the big bang, when the universe was just 4 percent of its current age. This means that the gamma-ray burst offers an unprecedented peek into a mysterious period known as the cosmic dark ages, which lasted from shortly after the big bang until about 900 to 800 million years thereafter. Astronomers think the first stars started forming during the dark ages. But few such stars have ever been spotted, because the early universe was fogged with hydrogen gas that shrouded the starlight. Over the past few decades, the idea that our universe could be one of many alternate universes within a giant multiverse has grown from a sci-fi fantasy into a legitimate theoretical possibility. 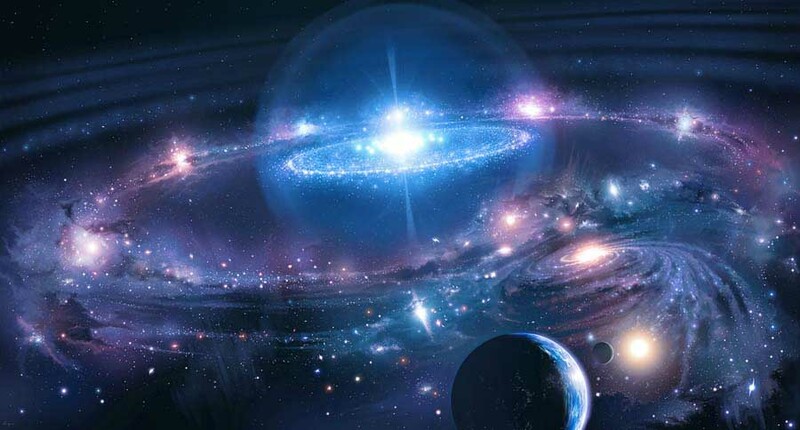 Several theories of physics and astronomy have hypothesized the existence of a multiverse made of many parallel universes. One obvious question that arises, then, is exactly how many of these parallel universes might there be.